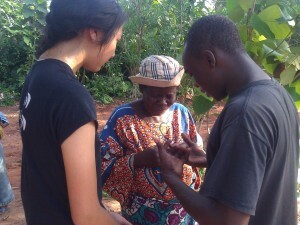 In February of 2010, Jamie Arseneau, Janna Cressman, Carleigh Davis and Abigail Ndukwe began an adventure in Benin that will have a truly lasting legacy. After two successful missions trips to Benin in 2008 and 2009, it was clear that this was a place where God was at work in the hearts of his people and that DRIME was very welcomed. 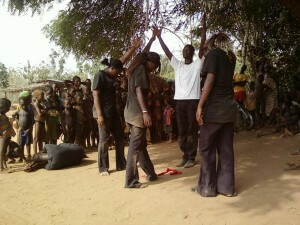 Through our partnership with GAiN (the Global Aid Network, Canada), DRIME was able to travel into rural villages and share the Gospel through cross-cultural drama. Hundreds of people responded to Jesus and have been connected with local pastors and church plants. In a land where the Voodoo religion of fear, hate and death is rampant, the message of love, freedom and hope rings out loudly. This Base has seen many, many lives changed. 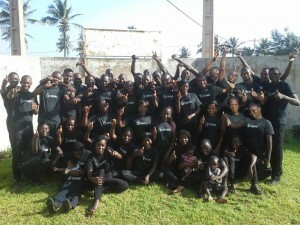 This DRIME team is regularly ministering in rural villages with GAiN as well as in the cities of Cotonou and Calavi. Please pray for Thierry and Alexandre as they give leadership to the DRIME Benin base. Check out this video for a glimpse into DRIME!